Unlike the fiction I've been reading, which has tended toward fantasy & steampunk lately, my nonfiction has been all over the board. I crave a good nonfiction read every so often to balance out all the fantastical stuff. Also, as much as I enjoy making themed lists, I'm falling way behind! So, in the interest of catching up on reviews, here they all are! 4 stars: A testament to the power of determination, persistence, and faith. Gilbert Kraus was a successful lawyer when Hitler rose to power in Germany. As concerns mounted over the state of the Jews in Europe, a friend approached him with an unusual idea: maybe they could go over there and bring back Jewish children to safety. Virtually as soon as he heard the idea, Gilbert was determined to do it. His wife Eleanor had grave concerns, but she too thought they should pursue a rescue mission. The problems seemed impossible to overcome. Most notably, obtaining visas for the children to enter the United States. At that time America had very strict anti-immigration laws and there was a lot of anti-Semitic public sentiment, particularly when it came to allowing Jews to come into the country. In addition, the idea of bringing over a group of children unaccompanied by their parents raised all kinds of outcries over the logistics of their care and prospects once they came. Kraus was relentless, politically savvy, and knew (or learned) immigration law to the letter. He was determined to make this happen. Eleanor worked behind the scenes, filling out reams of paperwork (each child had to have a sponsor, each sponsor had to be extensively vetted). When it finally came time to leave for Berlin and Vienna, the visas still weren't a sure thing. Kraus went anyway. Despite everything they had overcome, there would be even more obstacles to face once they arrived in Vienna. Based on Eleanor Kraus' memoir and personal papers, this was a remarkable story. It left me with such hope. A couple who persevered against all odds to save these kids. A great example of what one person, or one couple can do. 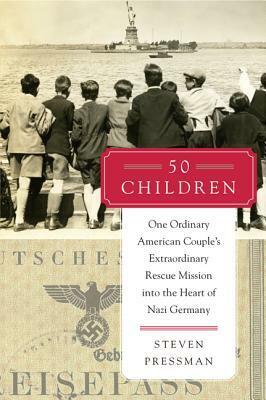 The percentage of children they saved from certain death was very small in the grand scheme of things, but if more people had stepped up and saved who they could--think of the cumulative effect! There were many heartbreaking aspects of it, among them: they had to choose just 50 children, out of hundreds; the children were separated from their families, some of which were never reunited; and unbelievably, the Kraus' motives were misunderstood by many and they were publicly maligned for what they did, before and after the mission. It was also fascinating for me to gain a greater understanding of the politics in America at the time, which Pressman brought forward. The American people were not ignorant of what was going on over in Europe. They knew the Jews were in dire straits. What were the factors that kept this country from throwing open its doors and providing a safe haven for more of them here? Now I want to see the HBO documentary! 3 stars: Lively storytelling with a few downsides. MacDonald's memoir of her early marriage, homesteading and building a chicken farm up in the mountains of Western Washington. It was a bestseller when it was first published in 1945. When I found out that the author of our beloved Mrs. Piggle-Wiggle books had written books for adults, I was excited to find this one on the library bookshelf. 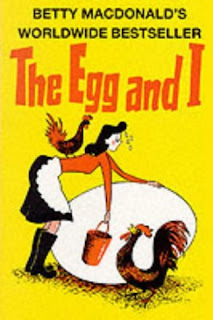 While there were many parts I enjoyed, I didn't love it nearly as much as her kids books. She wrote with a keen eye and sharp wit, making the daily events and characters come alive. Her ability to find humor in what must have been very trying circumstances brought a grin to my face several times. I also quite enjoyed her descriptions of the beautiful scenery and farm life in general. She had a real knack for celebrating the wonderful side of life, while not glossing over the hard parts. I was bothered by her constant denigration of the Native Americans she encountered. She pretty much had nothing good to say about them. I know, I know. It was a different era back then, and even her daughters in the Forward said that if she had written it now she probably would have chosen to portray them differently. So I'm not trying to say she was a terrible person for it, just that for this modern reader it was offensive and hard to get through. There was also quite a bit of bad language--mostly quoting people--more so than I expected. I suppose because I was coming off her children's books, and didn't expect there to be any. Naïve of me, I know. So, taking the good with the bad, it evened out to 3 stars. 4 stars: Raised some great points to ponder. 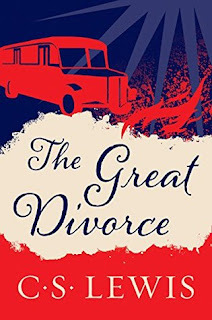 A English man gets on a bus one afternoon, only to find that he's an accidental passenger from Hell to Heaven. His experiences and conversations while in Heaven prove enlightening. Like others by C.S. Lewis, I feel like I need to re-read this one a couple of times to really get all that I want to out of it. The allegory itself wasn't my favorite, necessarily. Some parts of it were a bit strange. As a vehicle for bringing out various points of ideology and doctrine, however, it sufficed. His ideas of why people are or are not suited for heaven--or why they do not allow themselves to become suited for it--were quite instructive. I particularly enjoyed his explanation for why repentance is necessary. I'm still thinking about many of the ideas he brought up. This would be a great one for book club sometime. 5 stars: A remarkable story! William grew up in Malawi, Africa, the son of a farmer. His hardworking parents made great sacrifices to send his older sister to school, and were prepared to do the same for him. Unfortunately, a severe drought caused a nation-wide famine around the end of his 8th grade year. They had to focus on simply surviving for several months, until the new growing season came. When the famine finally ended, there was no money left to send William to secondary school. 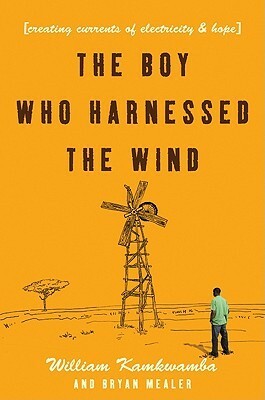 A smart boy with a mechanical mind, William was desperate to learn more and attended school as long as he could. Finally, though, he was turned away due to the lack of funds. At that point he undertook his own education, by visiting the village library and checking out some textbooks to read. This proved a turning point for him, when he discovered books on Physics, in particular one called Using Energy. He had long had questions that no-one could answer about how certain things worked--the headlamp on bicycles powered by pedaling, for example. The books he found answered his questions, with diagrams! Using his newfound knowledge, William built a windmill to provide electricity for his home, using scrap and scavenged parts and pieces. William's story was so inspirational, on many levels. 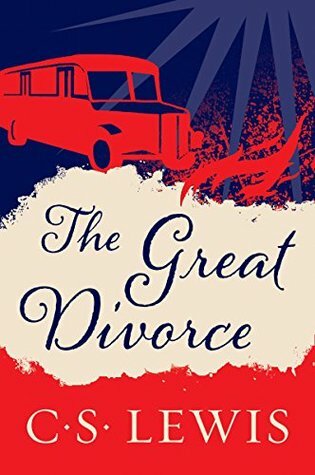 First, if you ever start to feel sorry for yourself or think your middle class first-world life is hard, read this book. It will bring you back to your senses very quickly. Second, I was inspired by the way William had a clear vision, used what was available to him (which was not much at all), and made his dream happen. Despite his lack of schooling or any type of mentor as a support, not to mention the mockery of almost everyone around him, he did it! Plus, his dream wasn't just something he did for his own selfish ends. It was to help his family and ease the burdens of his parents. Read this to be grateful for what you have, then go out and use whatever that may be to do great things! 4 stars: Brutally honest, eye-opening, and ultimately, redemptive. Elena's struggle with anexoria began as a teenager when her family lived in Germany. However, attempts at diagnosis and treatment were scattered and ineffective until several years later, as she was nearing the end of her college career. By that time she was at a critical point, hovering on the brink of the downward spiral toward death. With her parents' constant support and at times, tough love, she entered a residential treatment program, determined to finally win this battle. Although eating disorders have not touched my life directly, I have long felt compelled to learn more about them and the people who suffer from them. 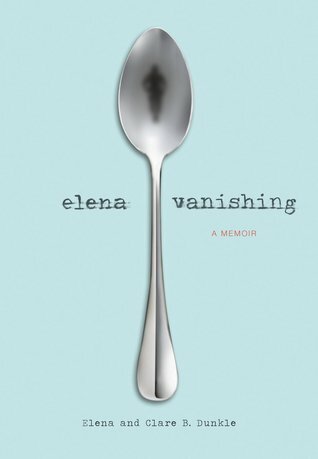 This memoir takes us right into Elena's mind and motivations through her years-long battle with this disease. The perfectionism and harsh self-criticism at any failure--perceived or real, the deceptions and shame, the defiance and despair. It's all there. If that's where it ended, it would be a tough read. Thankfully, she also lets us in to the slow process of her recovery. As she confronts her demons, old and new, she opens herself up to healing that she didn't even recognize she needed. Her perspective begins to shift and despair recedes just enough to let in some hope. 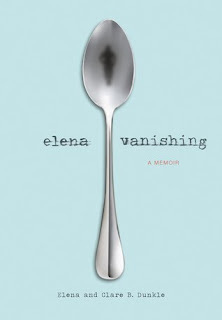 My heart went out to Elena and her family as I read this book. They all suffered. It's really a story of the journey they all were on to save Elena from herself. Content: A lot of language, vivid description of a miscarriage, adult situations. For older teens and adults. So, what have you read that has informed or inspired you lately? Do tell!